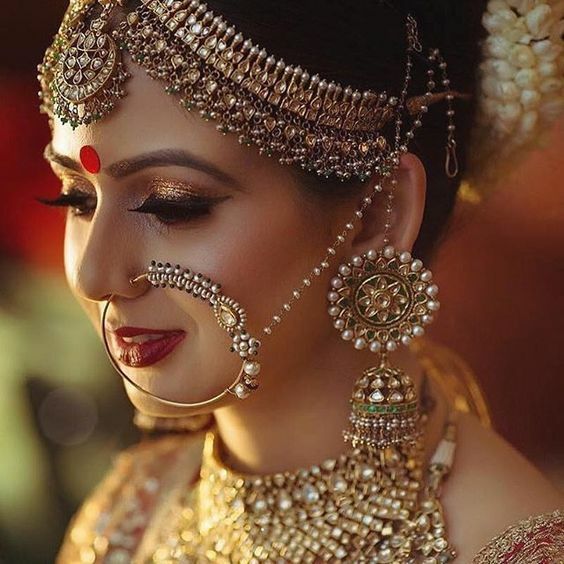 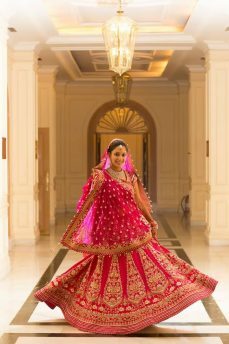 When it comes to Indian Bridal Couture, it has certain prominent features that create an eastern traditional appeal into it. 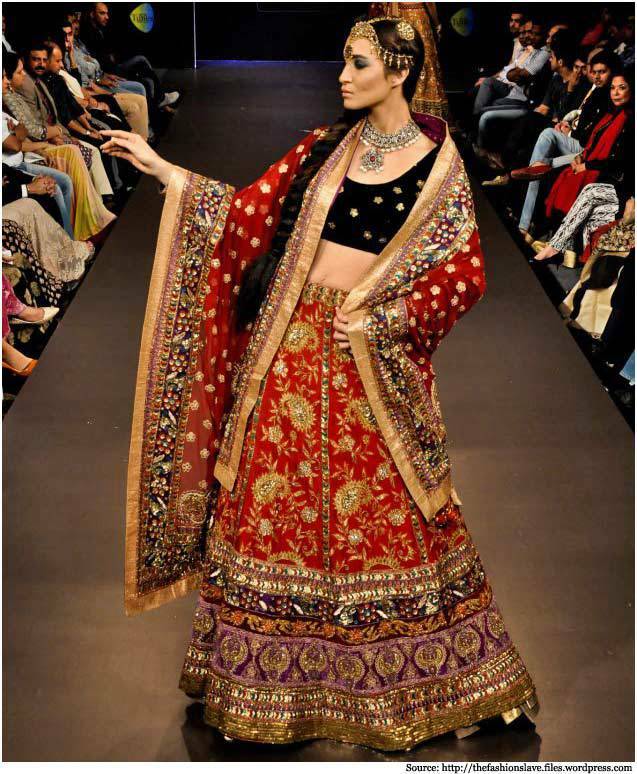 Centuries old apparels are still the part of Indian culture, norms and customs. 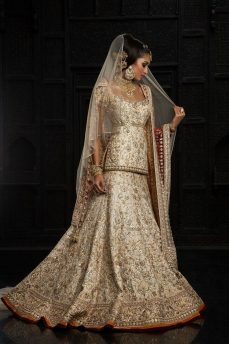 Especially wedding attires still carry the same ancient style of designs. 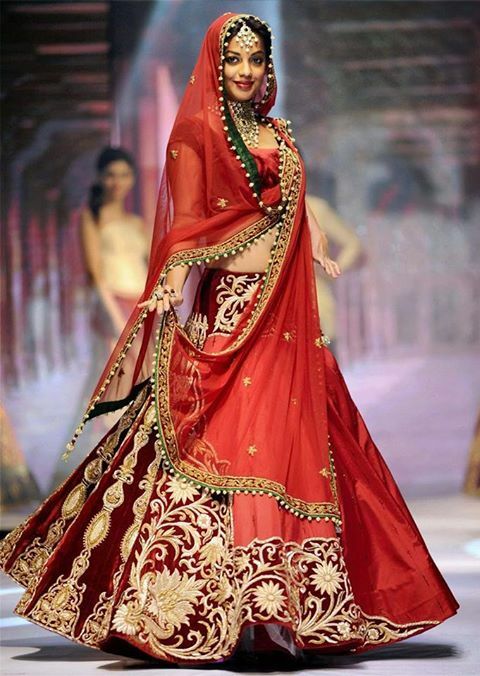 However, the trends vary from season to season and eras to eras. These fascinating wedding trends alternate one another after the definite interval of a period. 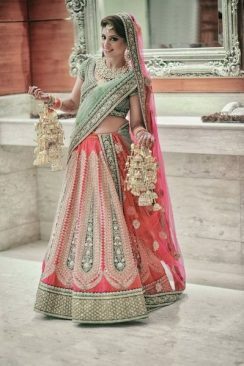 Wedding sarees are preferably designed for the event, but lehengas and gowns are equally famous in India as in Pakistan. 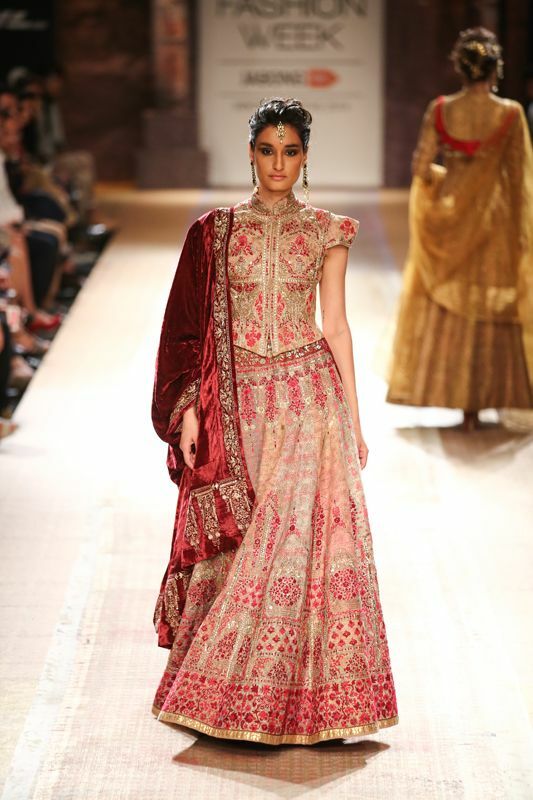 The latest Indian bridal couture week brought the finest of Indian bridal dresses collection under the spotlight. 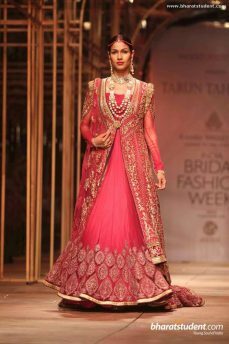 With a variety of models donning into the precious wedding apparels by the most talented and creative Indian Fashion Designers. 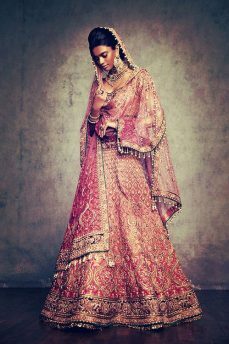 here we are discussing the Indian Designer Bridal Dresses Wedding Trends. 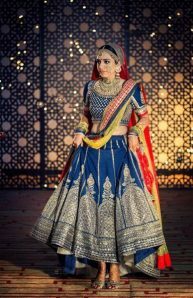 In this article, we have selected out of many, the best latest Indian bridal dresses in variant designs and vibrant colors by the most outstanding Icons of Indian fashion industry. Who wouldn’t want to wear the designer wear the bridal outfit on her big day? 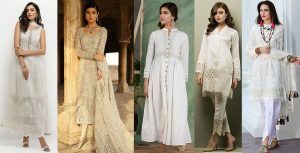 This in-depth insight of the recent bridal dresses will open a new gateway of choices to select the perfect wardrobe for your weddings. 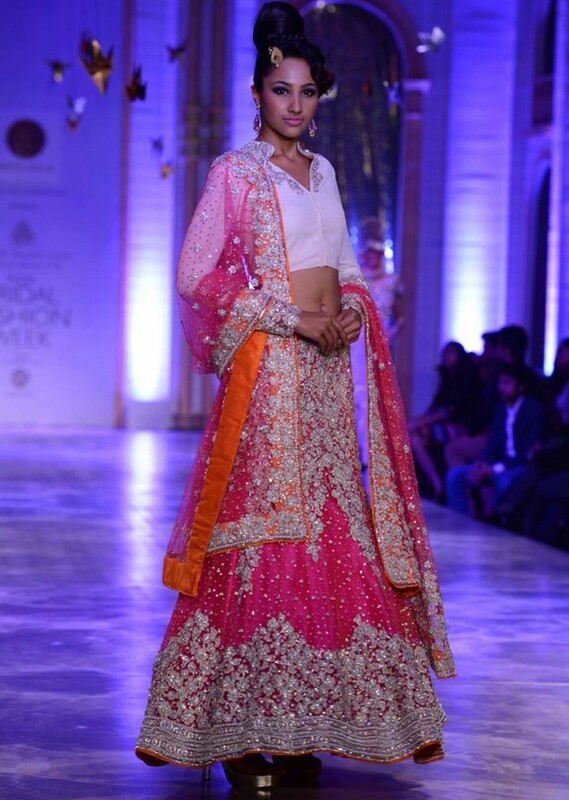 So keep scrolling, as you are about to witness the most striking range of collection. 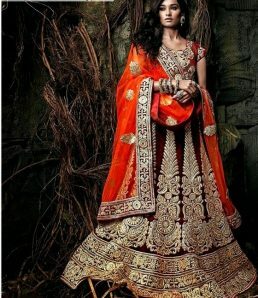 Manish has earned a name of fame in the fashion industry due to his out of the box creativity and distinctive designs. His latest bridal dresses collection do not only include fancy wedding sarees but a whole range of long flared lehengas with heavy embroidery and use of embellishments. 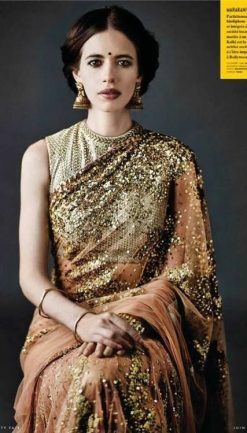 Work in gold and silver over burgundy, red, gray, beige and black creates the fascinating appealing impression in all of his dresses. 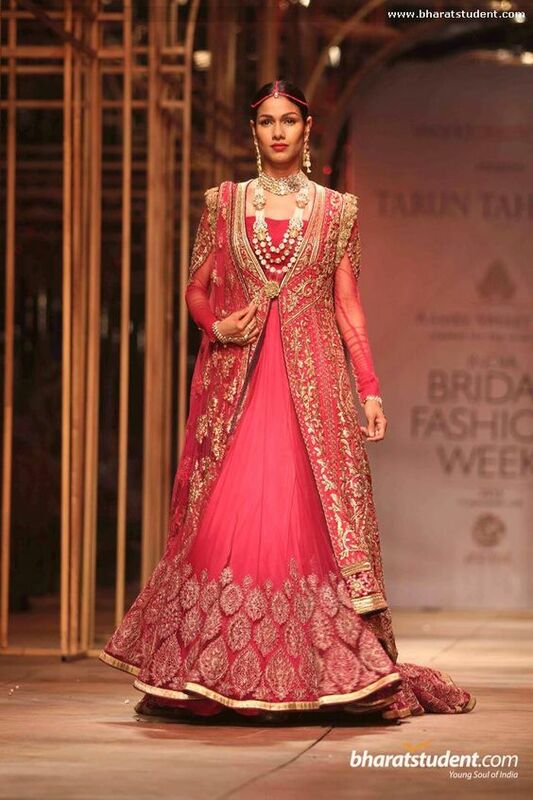 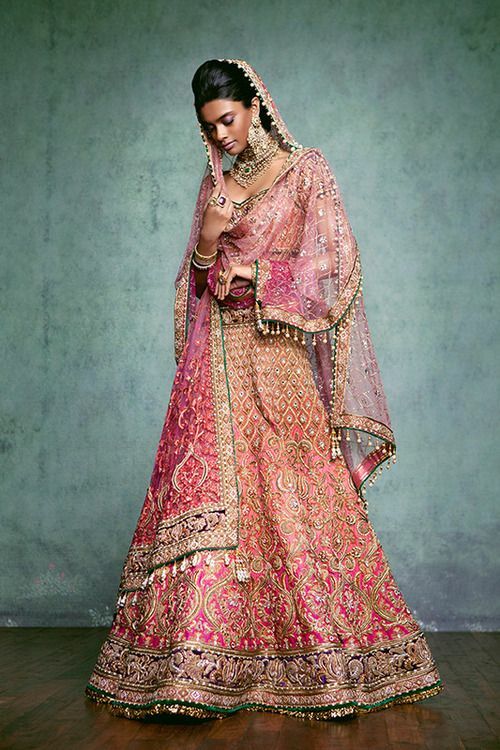 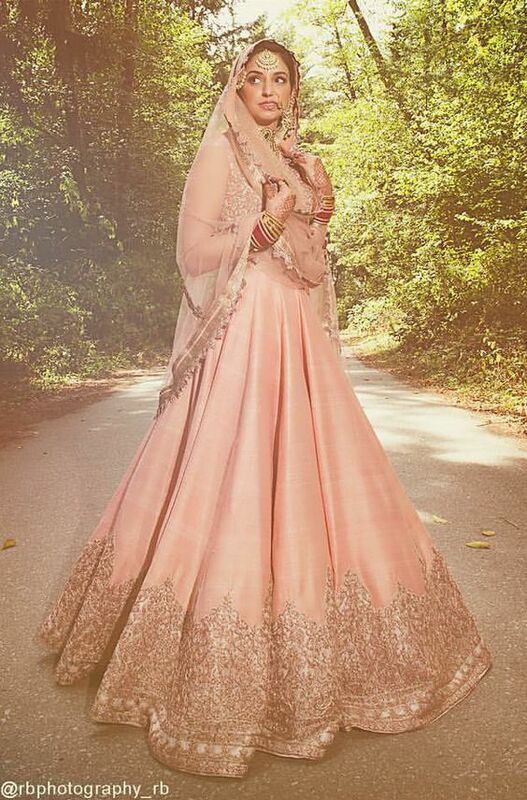 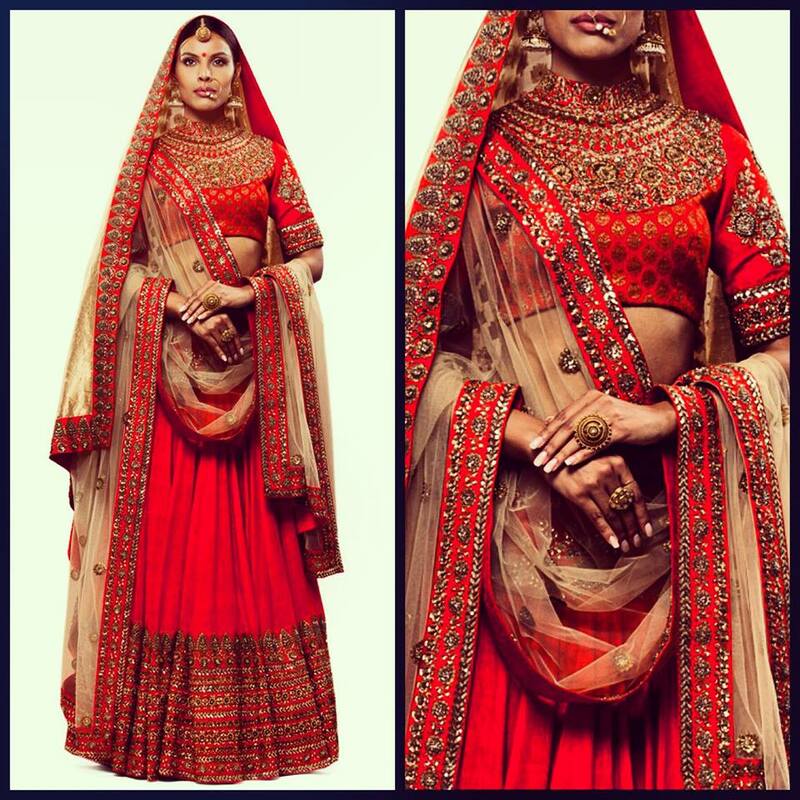 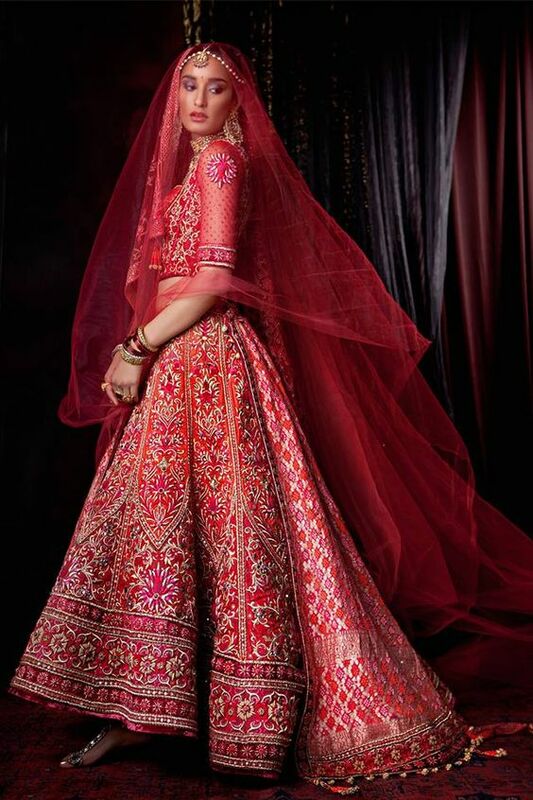 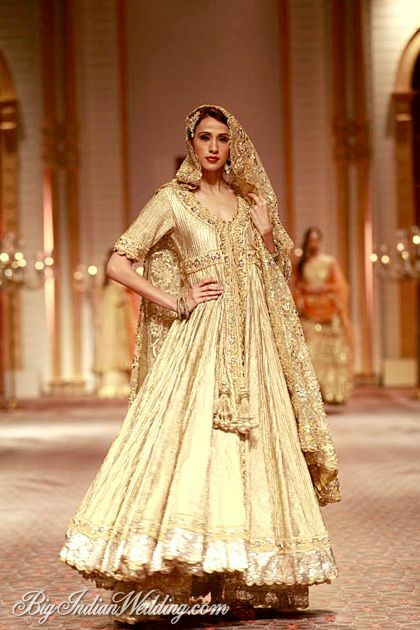 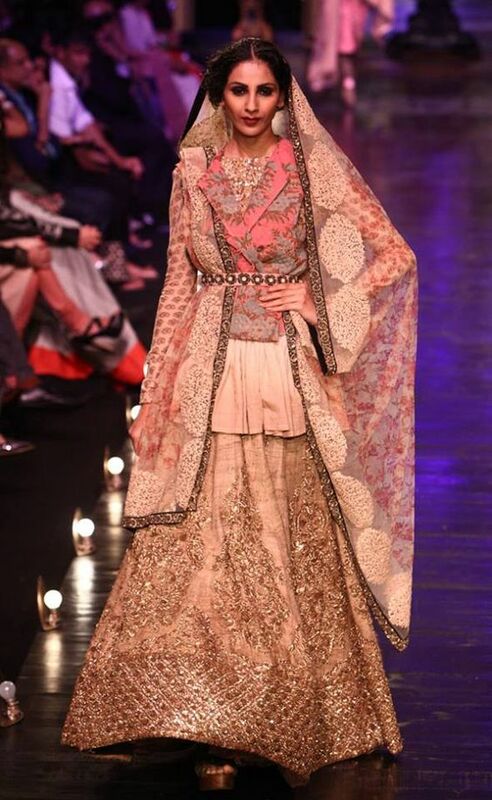 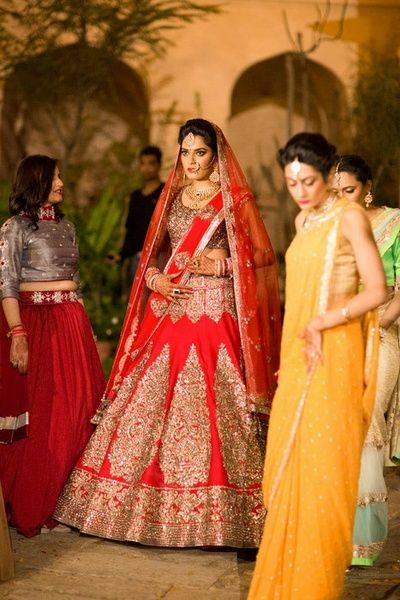 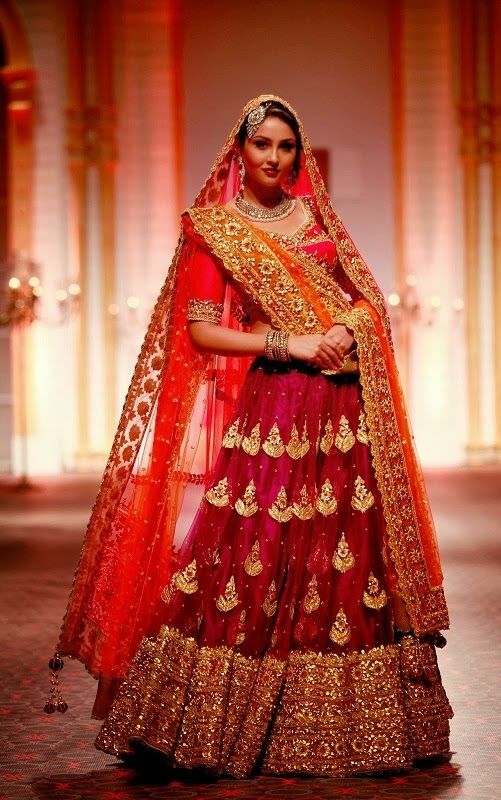 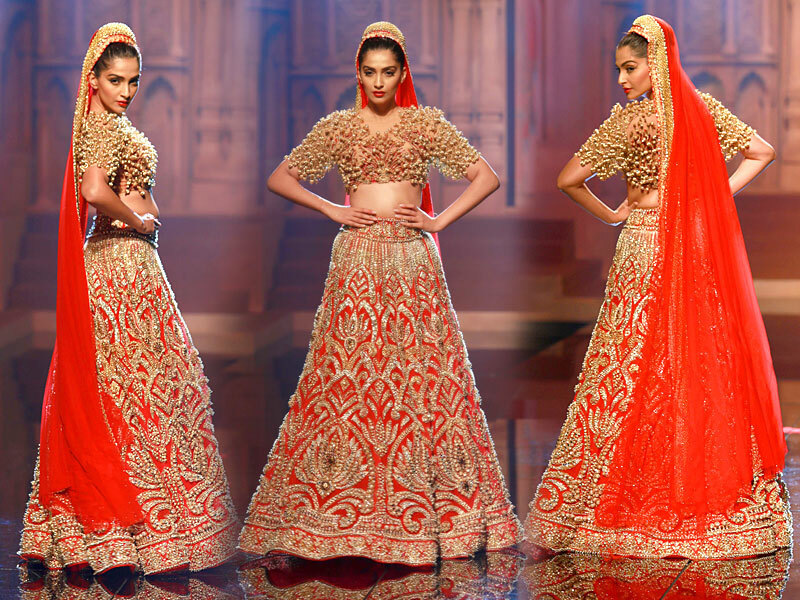 These bridal outfits are designed with crop tops coupled with heavy lehengas and dupattas. 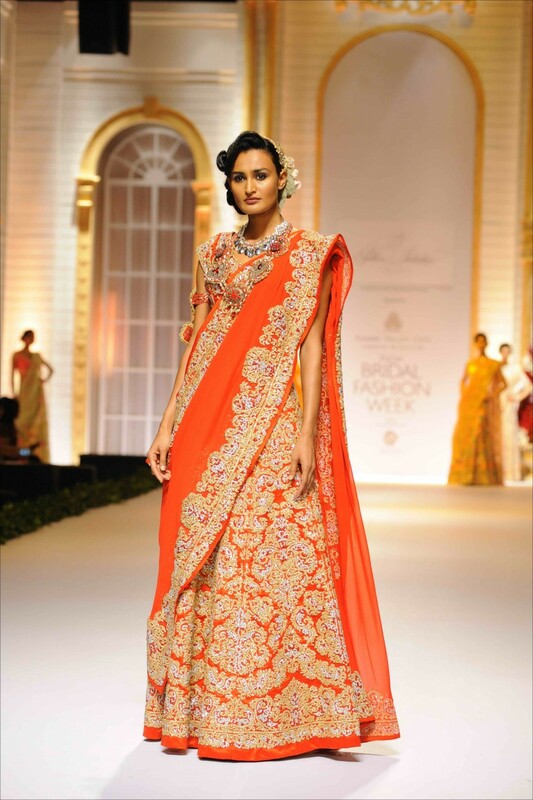 Mukherjee has excelled in the field with the tool of refining the Indian traditional touch in all of his dresses. 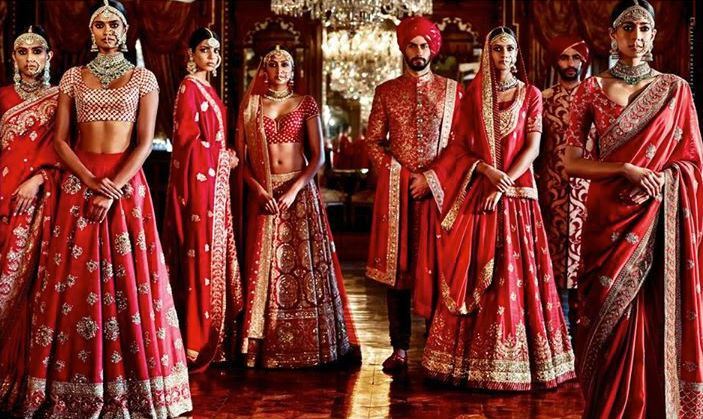 He has designed the latest bridal collection with the same ideology in mind, where he emphasized the use of red in various striking shades. 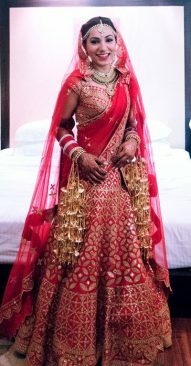 Use to net-work is quite visible. 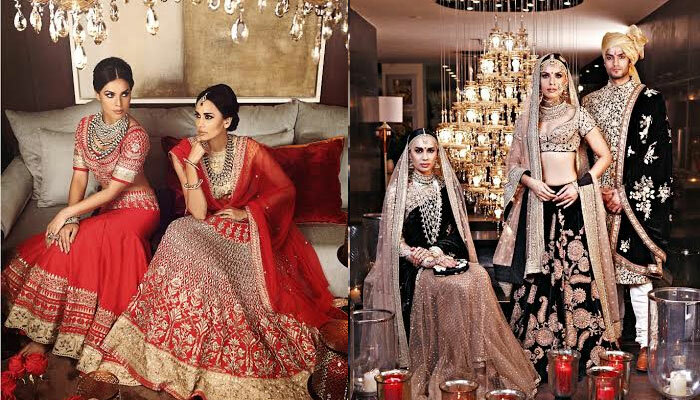 Heavy embellishments in the monochromatic theme are the charm of this series. 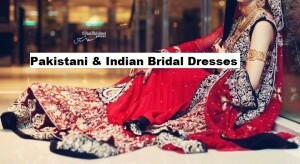 Work of Dabka and Zari are used with great. 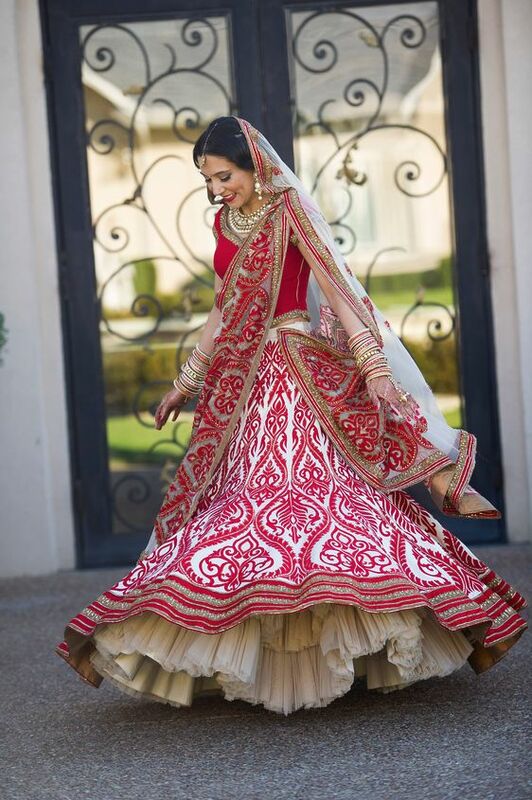 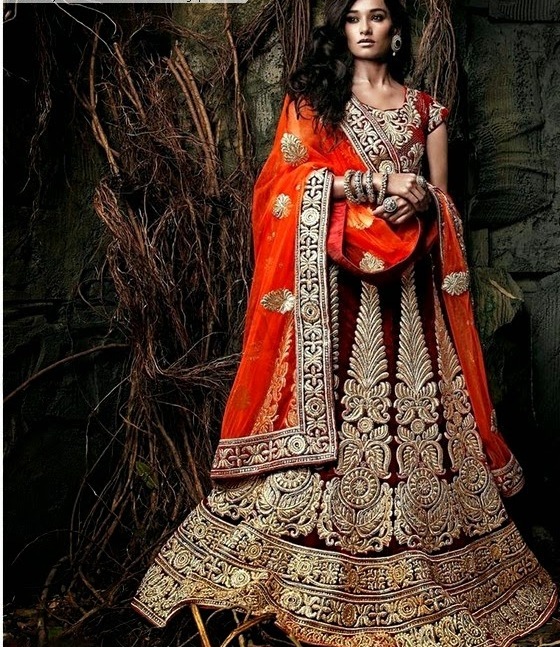 Bridal lehengas are given the supreme traditional outlook. Use of bright and soft pastel colors are the most striking features of the latest bridal wear collection by Neeta Lulla. 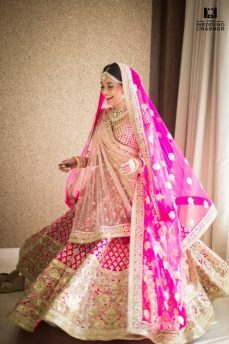 She has created the whole series in the combinations of light pastel pink, sparkles red, crimson color, lime yellow, and peach. 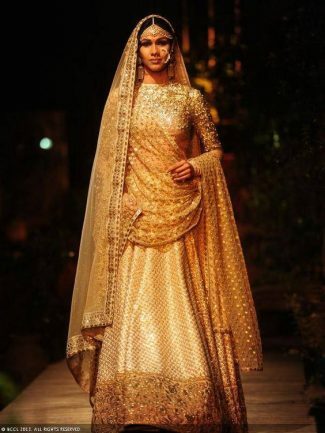 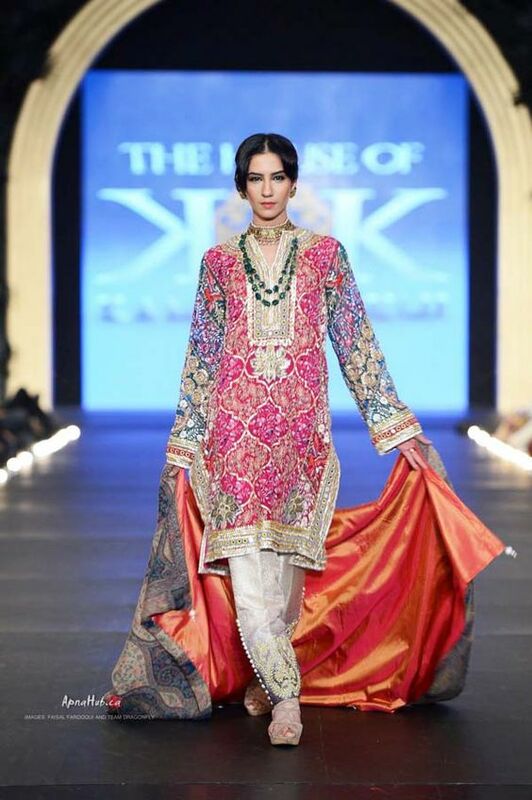 She has made the collection brilliantly appealing by the use of golden embroidery work over it. 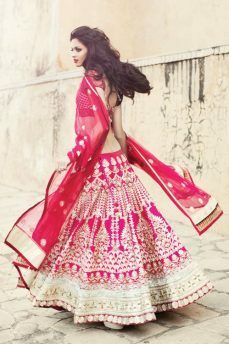 Lehengas are designed in series of different cuts. Sarees are also given the unique outlook with the flares of its borders. 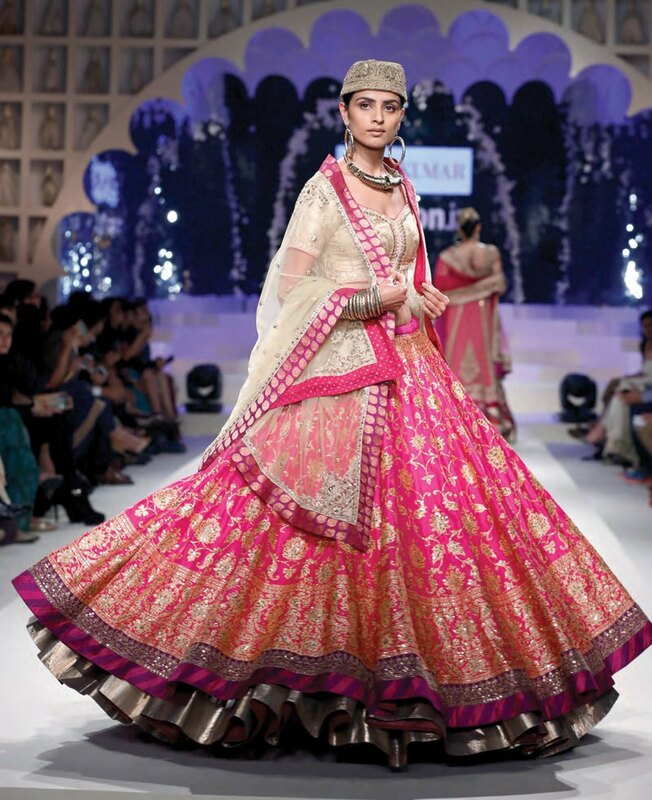 Ritu Kumar is famous for her use of multichromatic shades into one single dress. 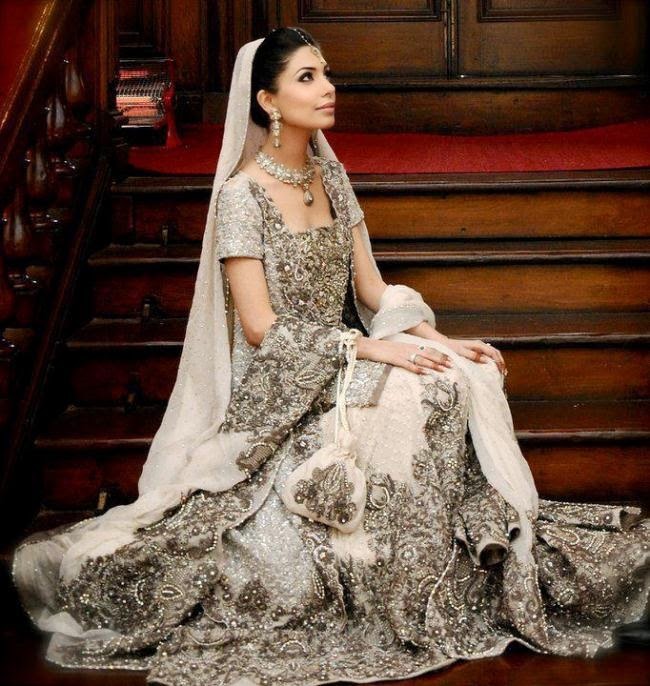 Same is seen in her latest bridal dresses collection. 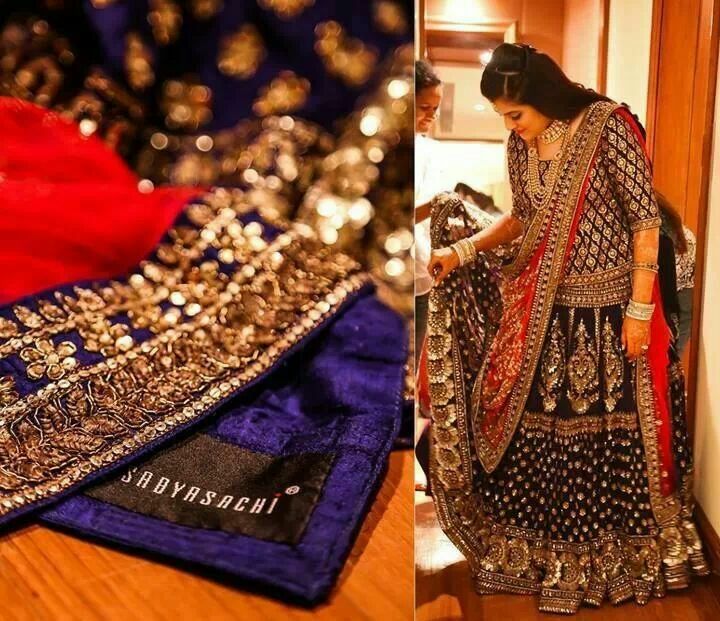 She has used multiple hues within her lehengas and sarees. 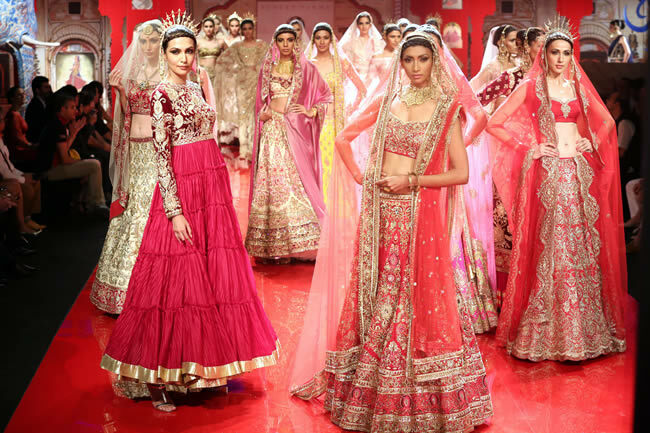 Each dress carries shades of pink, purple, pastel orange, pastel red and many others.